With the introduction of the 2016 Porsche 911R, one can see a circle was formed covering 50 years of Porsche R and RS models. 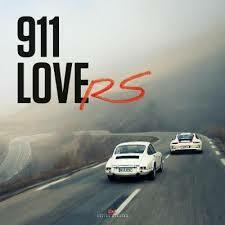 The book 911 LoveRS tells us the stories of every individual model that belongs to that circle and their owners, from the 1967 Porsche 911R onwards. Even tough the cars that have the honour to be part of this exclusive club are all embodied with pure race DNA, this book is not about race cars. This book is about street legal cars, all with naturallly aspirated power. Each and every of the cars in this book carry the DNA of the 1967 Porsche 911R that achieved the long-distance world records in Monza. Half a century of history, interviews with owners and above all : lots of fun. That’s what this book is all about. Pages : 252 pages with numerous pictures from different archives.